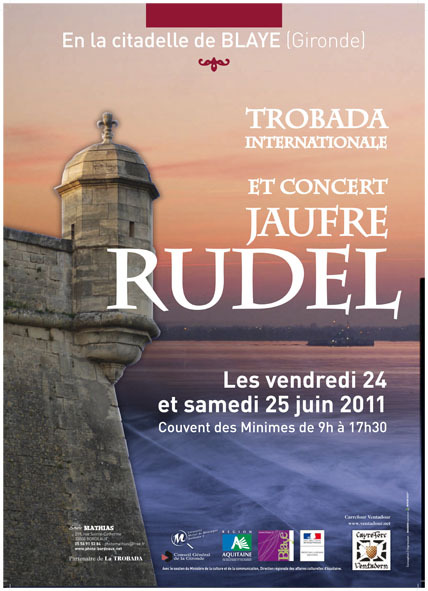 Just over a week ago, Blaye hosted an academic conference on Jaufré Rudel - a rare occurrence, it's safe to say. I'm ashamed to say that I couldn't make it, but I hear it was a success. I hope none of the delegates fell mortally ill on the journey there and died in the arms of the, er... Mayoress? 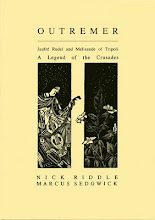 Thanks to Roy Rosenstein for telling me about it.